Our product range includes a wide range of ceramic yarn and ceramic tape. We are among the distinguished names in the industry for supplying and trading Ceramic Yarn for our valued customers. The offered yarn is used for making ceramic fiber textiles and is also used as a replacement for asbestos. It has high tensile strength, optimum resistance to wear & tear and is effective in providing insulation in heat conducting systems. It is available at cost-effective prices as well. We are among the acclaimed names in the industry for supplying and wholesaling Ceramic Tape. The offered tape is made from high-grade materials and available at cost-effective prices. 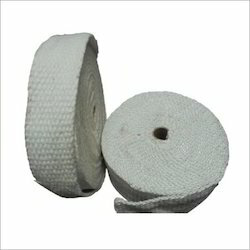 This tape is used for insulation of wires and cables owing to the high insulation provided. It is available in a wide range of technical specifications for meeting the variegated demands of clients. 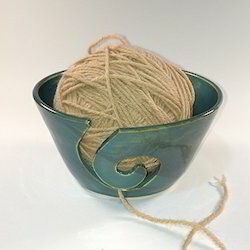 Looking for Ceramic Yarn ?